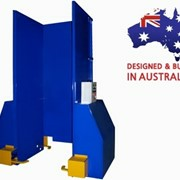 Side entry type pallet dispensers dispense individual pallets onto the floor. 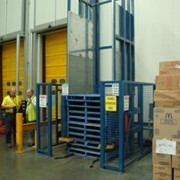 This allows an operator with a hand pallet truck to remove pallets from the stack as required eliminating the need for a forklift and driver to remove the pallets. 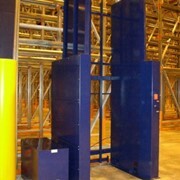 Safetech pallet dispensers have a capacity of 15 or 25 pallets. Our units are designed primarily for Chep pallets of 1170mm (46") square but other pallet sizes and types can be handled. How do Pallet Dispensers work? 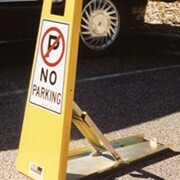 Side Entry pallet dispensers incorporate a pair of telescoping tynes mounted onto the deck of a hydraulic table. The tynes project out to support and elevate the pallet stack. To dispense a pallet the tynes project into the second bottom pallet. The tynes then lift the stack, leaving the bottom pallet free to be removed. A wide range of pallet sizes can be handled without alteration to the machine. Loading and dispensing happen from the same side. When used with conveyors pallet stacks can be forked or conveyed into position and the individual pallets dispensed onto the conveyor. In palletising lines using robotic palletisers. Most robots can pick their own pallets from a stack but this usually represents poor utilisation of the robot. It is better to have a separate pallet handling system and allow the robot to concentrate on the palletising task. In fibreboard plants where bundles of cartons need to be Palletised. 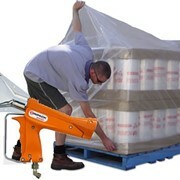 The pallet dispenser then supplies the pallets into the load former as required. 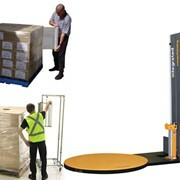 In stand-alone applications where a pallet is dispensed onto the floor. 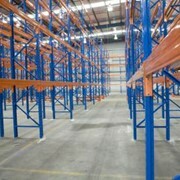 This makes individual pallets available to operators without the need for a forklift. Although Pallet dispensers are generally regarded as safe, there is potential for a stack to be tipped up from one side if it is not sitting in the correct place for the dispenser. 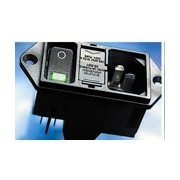 Safeguards include additional position sensors and/or a fixed barrier. 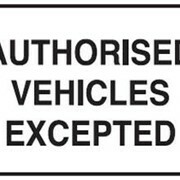 Placarding of automatic equipment is essential. Finally, as with other automatic equipment, operator and forklift driver training is important to minimise the risk of a mishap. Although pallet dispensers can be used as stand-alone devices, they are more commonly integrated into an automatic palletising line. Other devices such as in-feed conveyor, out-feed conveyor and robotic palletisers (or load formers) are usually combined to make a complete palletising system. 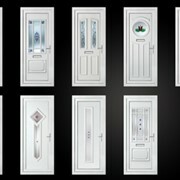 Our ability to integrate all of the various parts to work harmoniously is essential for such a system. 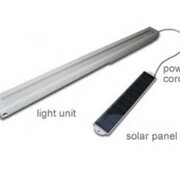 Poor quality or inconsistent pallets are a problem in any automated system. Forklift drivers need to be vigilant and remove bad pallets from the stack before they reach the dispenser. 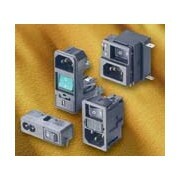 Prices vary with features but can be higher when integration with other equipment is involved. 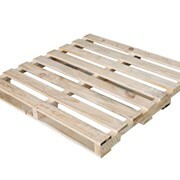 Most pallet types can be handled with existing designs so any re-engineering should be minimal. 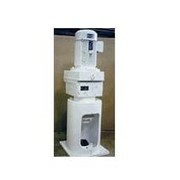 For more information on side entry type pallet dispnsers please call or email us for a direct reply.